A NEW 2015 Facebook group (https://www.facebook.com/groups/ChristiansReasonableService/) has been created where a one-year reading plan is provided and members may engage in lively discussion of Wilhelmus à Brakel’s The Christian’s Reasonable Service. What is The Christian’s Reasonable Service? First published in 1700, The Christian’s Reasonable Service (De Redelijke Godsdienst) ran through twenty Dutch editions in the eighteenth century alone. The title is derived from Romans 12:1 (KJV), “I beseech you therefore, brethren, by the mercies of God, that you present your bodies a living sacrifice, holy, acceptable unto God, which is your reasonable service.” It expresses what God requires from man, and particularly from the Christian, that he serves Him in Spirit and in truth—intelligently, rationally, and in harmony with and response to God’s revelation of Himself, His Word. 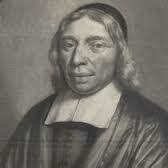 With a decidedly Puritan flavor and representing Reformed experiential religion at its best, Wilhelmus à Brakel systematically moves through the major doctrines of the Bible in hopes of seeing the minds of God’s people renewed for the purpose of promoting godliness. Throughout his work, but particularly in the practical application of each doctrine, à Brakel strives unceasingly to exalt the name of Jesus as the name that the Father has given above every other name—there being no other name given under heaven among men whereby we must be saved (Acts 4:12) (Taken from the publisher of The Christian’s Reasonable Service, Reformation Heritage Books). You can also learn more from translator Bartel Elshout’s website dedicated to à Brakel and his great work. There are numerous ways to get copies of The Christian’s Reasonable Service.